Snapchat Emoji & Smileys Explained! Emoticons (or emoji, depending on whom you’re speaking to) have been part of the landscape of texting since the early days of instant messenger, when AOL Instant Messenger was pretty much the only game in town. And while their presence has been more or less constant, it hasn’t necessarily been consistent. Depending on your software, OS generation, and any other peripherals, you may have a completely different set of emoji than what you’re accustomed to. With the ever growing cadre of social media outlets and other websites, on top of the developers and third party developers for the various mobile platforms, we are getting more and more variety in our ability to speak using… tiny bubble faces… for some reason. Well, variety is good, but more often than not, the trade off for variety is the headache of sorting it out. Was it Sartre who lamented “We are condemned to freedom”? You may be confused with the new Snapchat emoji and smileys update that went out a few weeks back. I’ve done a little digging and will break down everything you need to know. If you use Snapchat regularly, you may have seen this update or it may have passed under your nose. Snapchat was not very public about this update or good at explaining what it means. OF course, like any good app developers, they’re updating constantly to keep their platform competitive against all of the other imitators and glory seekers out there, not to mention closing up vulnerabilities and exploits that could endanger their customers’ privacy, and with it their custom. So, they’re updating constantly, and perhaps don’t necessarily get in the habit of spelling out all of their updates, because the volume would quickly make that unsustainable. That’s okay, though, because Snapchat is more than an app; it’s a community of users. And as part of that community, I’d like to unpack some of this information for you (who I’m assuming is another part of this community). Remember that there’s nothing keeping Snapchat from continuing to make updates and changes to their app so this may or may not be changed going forward. We all know what happened to the unpopular best friends feature of Snapchat. 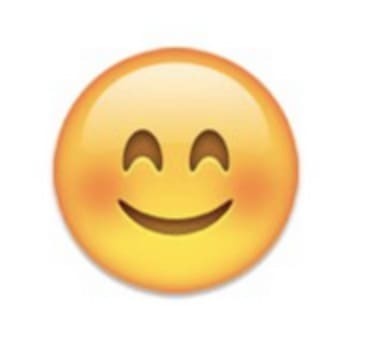 But barring any unforeseen complications (and who is really going to take exception to an increased variety of smiley faces) below is the low-down on what makes these new emoji distinct. I’ll cover two very different types of emoji based on their meanings in this post. One is the new update that inserts a little smiley emoticon next to your friends and the other is one is the standard use of emoji embedded into photos and videos that you take. Emoji were invented in Japan to represent emotions and feeling in graphical form to be used in text. They range from happy faces to sad faces to animals. Of course, if you scroll around in in most emoji libraries, you’ll see some key differences between Eastern and Western emoji. Western emoji, the different emotions tend to be be expressed primarily (not necessarily exclusively) through the position and shape of the mouth. Curved upwards for happy, down for sad, squiggly for nervous or anxious… Easter emoji, coming from a different tradition of cartoon and pictographic simplification, tend to relate the different emotions based on variations in the eyes. Whatever the form of the emoji, though, you’ll find them often in text messages and social media platforms like Facebook and Twitter. If you have seen them around but haven’t used them yourself, it’s easy to get the emoji keyboard on your iPhone or Android. The emoji keyboard is built into the iPhone, just head over to settings, then to general and keyboard and add new keyboard. From there, you will be able to add the emoji keyboard. Also, there are options to download new keyboards for your messaging client (some of these are third arty, so do so under your own discretion). Perhaps I’ll write an article about that in the future. If you’re on an Android there isn’t a consistent way to add an emoji keyboard. I’d recommend trying to get a keyboard from an app that you search on Google Play. There are hundreds out there, just make sure you get one that gets good ratings and is fairly well updated and supported. You may remember the best friends feature that was previously on Snapchat. Basically, it displayed to everyone the top 3 to 7 people you sent or received snaps from based usually on the past week or two. This was quite controversial since it allowed people to see who you interacted with the most on Snapchat and could cause some drama if your “best friend” on Snapchat wasn’t your best friend in real life, if it wasn’t your boyfriend, girlfriend. Or in worst case scenarios, your Snapchat best friend was your ex. A few months back Snapchat disabled the best friends feature and now they are focusing on a slightly different way to represent what your relationship is with your fellow Snapchat contacts. I’ll talk a bit below about why Snapchat feels the desire to communicate your relationships with people on an otherwise secretive based app. Now, let’s get into the 6 emoji and chat a bit about what they mean in Snapchat. Snapchat was never very explicit on what these mean so we’re required to infer a bit and glean a bit from the daily use of the app. 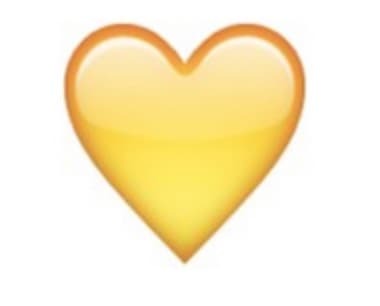 You may have seen this yellow heart besides a friend’s name. This basically represents your number 1 best friend in Snapchat. Previously there were three best friends but now that’s replaced by your sole best friend. This will be a simple addition of the number of snaps the person sends you and you send them. The person with the most is your yellow heart best friend. The tricky thing about best friends is that people aren’t always each other’s best friend. This is where some drama comes into play. The grimacing face indicates that your best friend is that person’s best friend. For example, your name is John and your best friend is Megan. However, when you see the grimacing face next to your other friend Tyler, that indicates that Tyler’s best friend is Megan as well. This could cause some issues if you thought Megan was mainly snapping with you. This could be super awkward if Tyler is Megan’s ex boyfriend. Next up is the rosy face smirking. This means that person is a best friend but doesn’t quite make the cut as your best friend. It’s unclear how many people will be your Rosy Smile best friend but most likely this will be your 2nd through 3rd or 4th best friend. 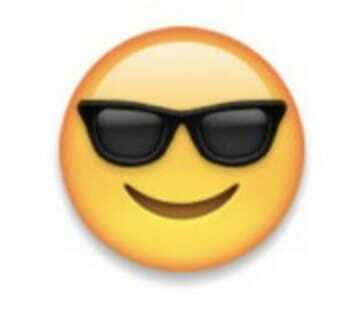 This is the super cool Snapchat emoji. This smiley indicates that both you and the other person send a bunch of snaps to someone else. If Ashley and Nicole both send a ton of snaps to Sam, then both Ashley and Nicole would see the sunglasses smiley for each other. Alternatively, Sam would see the Rosy Smile for both Ashley and Nicole. 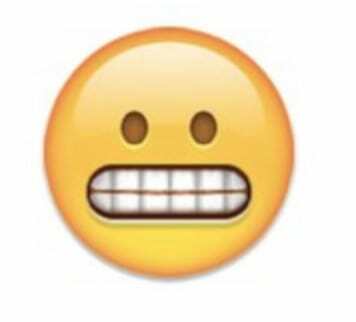 This is one of my favorite smileys, the smirking face. Unfortunately, the meaning is a bit negative and could cause some drama. This is someone who you don’t send a lot of snaps to but they send you a ton of snaps. In other words, you are one of their best friends but they’re not one of your best friends. Ouch, it’s never fun to be on the down end of this. If you’re starting a fire with a friend then you are on a hot streak with them. This means you’ve sent and received a snap from this person every day for several consecutive days. This means you’re consistently snapping with this person and things are starting to heat up. The more consecutive days you have the more fire you’ll have. Get to snapping! There is a lot of drama that is associated with this new smiley update, which in my opinion is caused on purpose by Snapchat. Let’s be honest, the reason most people use Snapchat over regular text messages is the privacy and ambiguity of the app. It allows you to communicate with one person without anyone tracking that communication. When you all of a sudden introduce less anonymity and display hints at people’s actions while using Snapchat, there will inevitably be churn and drama associated with it. Imagine if you find out your boyfriend is best friends with an ex, or if your best friend is also snapping your crush just as much as you are. These are all situations that can cause issues and is not entirely needed for Snapchat to work properly. So why did they introduce it? Because everyone, especially younger people, love drama. Why do you think a slot machine lights up and plays loud exciting sounds when you win? There is an associated positive psychological response that urges the person to continue to play and get more addicted to the game. This is similarly true with the Snapchat smiley faces. Albeit there is less of a response given that you won’t hear a bunch of sounds and there won’t be lights flashing. However, there is a similar psychological response. That response awards the user and urges them to continue to use Snapchat. In other words, it gets every Snapchat user a bit more emotionally invested in the app and their “status” within the app. Take the image below that falsely created the Snapchat smileys and their association with Jay-Z and Beyonce and their friends. Of course you can imagine if this were actually a true association there could be a weird situation where Kanye is best friends with Beyonce in addition to Jay-Z. These are things that will turn the app from more of a direct communication tool to a social community tool. In that regard, I wouldn’t be surprised if Snapchat began to add more and more features that similarly add a sense of community, drama, and social hierarchy to their app. If you’re not sure how to add emoji to your Snapchat snaps, it’s super easy to get it setup and going. The first thing you will have to do is to make sure the emoji keyboard is enabled on your device. On iPhone just turn on the built in emoji keyboard. If you’re on an Android device some have built in emoji keyboards, otherwise you can just download a keyboard app to use them. From there, you can include emoji in snaps by just following these steps. From the Snapchat app you will first want to take a photo or a video by pressing the circle at the bottom center. Now, you will see the editing screen where you can add emoji. From there just tap the screen or tap the “T” at the top right to start typing. You can opt to change the keyboard from a regular keyboard to the emoji keyboard. I hope you enjoyed this guide and finally figured out what all of those faces mean when you login to Snapchat. Leave a comment below with your favorite experience with the emoji and feel free to share this post on Facebook or Twitter if you enjoyed it.